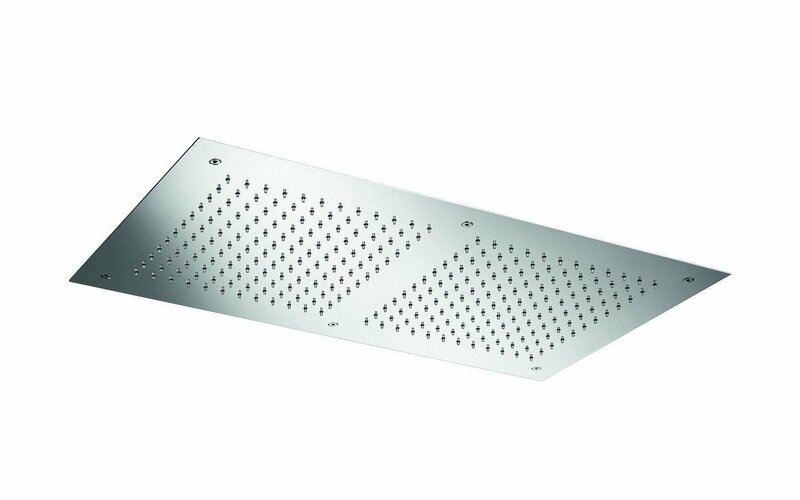 A very fresh, modern interpretation of the classic shower head in a generous 700 x 370 rectangular, ceiling mounted model. This stylish hallmark of functionality combines a large area of water jets – 144 in each of the two sections from which you will enjoy a luxurious and widespread rain head type shower. This really is made for those who love their showers big and plentiful. 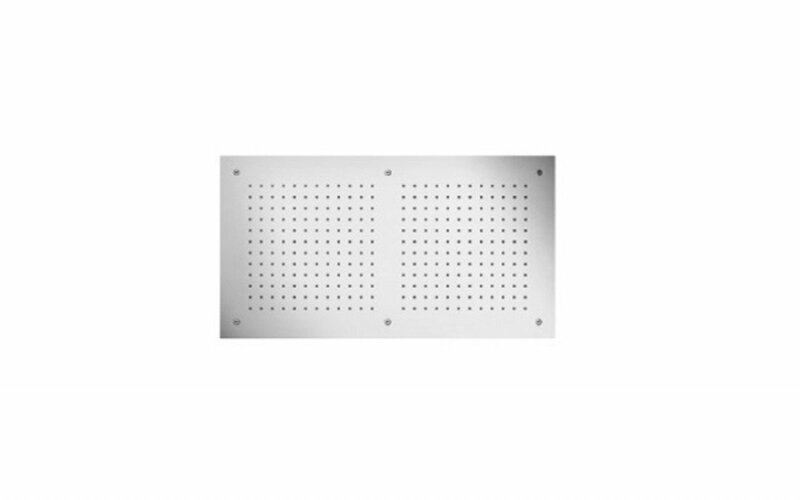 The overall look is one of simplicity and pure lines – the flush-mounted plate is finished in stainless steel providing a stylish and understated note. The final and perhaps most exciting feature of this showerhead is its stunning chromotherapy lighting system. A spectrum of nine colors is streamed down through the water jets and are carried by the water to balance and harmonize the body’s energies. The result is a wonderful shower experience that truly cleanses, re-energizes and reinvigorates your body.